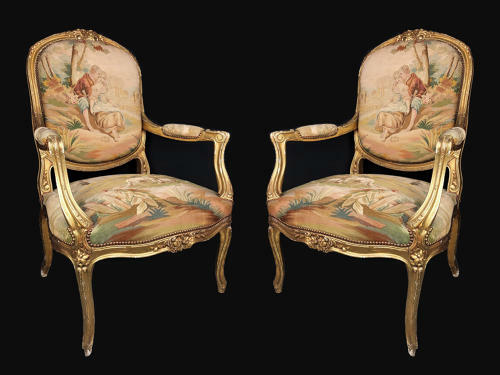 A pair of Louis XV style large open arm chairs with curved legs in the 18th century style. The top rail elaborately carved with a floret design. With original Beauvais / Aubusson tapestry, depicting pastoral scenes. Circa, 1780.